Some major construction work is being done this summer, and it could have a big impact on your commute. Beach Drive: This ongoing project has been D.C.'s most disruptive by far. The entire road surface of Beach Drive is being resurfaced and the trail next to it enhanced. Work on the first section of the project has been extended until the fall, meaning the closure between Tilden Street NW and Rock Creek Parkway NW will last all summer. 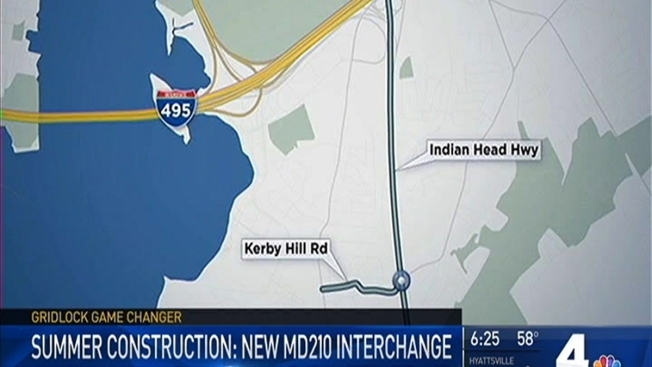 Indian Head Highway: In Maryland, a new interchange is coming to Kerby Hill and Livingston roads near Oxon Hill. The traffic on Indian Head Highway is expected to grow to more than 125,000 vehicles in the coming years. Interstate 395: New express lanes will be coming to I-395 in Virginia. Work is scheduled to increase in the middle lanes - the current HOV lanes. Metro: Starting early July, Metro will be changing its hours to fit a new maintenance schedule. Late night weekend service will run until 1 a.m. and the system will close at 11:30 p.m. on weekdays. On Sundays, trains will only run from 8 a.m. to 11 p.m.